has been practicing the Tch'an and Sumi-e art since 1985 under the guidance of a Chinese master. 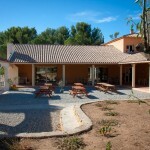 He organises courses throughout France and Europe. His book "L'Esprit du Geste" (Spirit of the brushstroke) was published by the "Editions du Chêne" constitutes a clear and concise basis for learning tch'an and sumie painting. It offers great personal creativity, more interior and spiritual approach related to the traditions of China and Japan. This teaching allows a just adaptation of our Western perception of Art. In July 2006 in Savoie and june 2011 in south of France, he organized the First and second, International meeting of painting and calligraphy by inviting painters from China and from Japan. He has been the first western painter to exhibit his work in the Beijing Rong Bao Zhai gallery in may 2013. In june 2014 he has exhibited at the Museum of the Fine Arts Academy of Hangzhou in China. Robert FAURE' s teaching is based both on the acquiring techniques and on a more interior and spiritual approach related to the traditions of China and Japan. This teaching allows a just adaptation of our Western perception of Art. This training course is addressed to both beginners, attentive to entering into the 'spirit of the gesture' as to confirmed painters. For the advanced and confirmed painters, the themes recover the techniques of the Chrysanthemum (level 4 and 5), lotuses, trees and according to their technical level the landscapes. The training will begin at 9.30am the first morning. You have to be in the room at 9.15am. The training will finish around 4.30pm the last day. 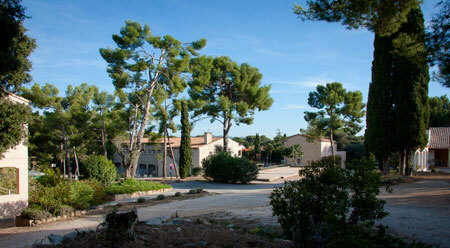 The Center Azur, vacation village, is situated in Sanary-sur-Mer in a park of 2ha, less than 1 km from the sea. 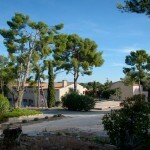 The accommodation is proposed in single room or 2-3 people, with a reception area for camping-cars. 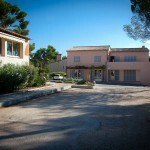 According to the weather the center offers the accommodation in linen bungalow. 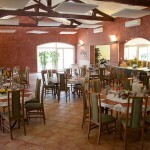 The restaurant offers a traditional cooking, simple and varied with an outside terrace. You have the choice between half board, full board or simply room and breakfast. To register, please send the registration form hereunder together with 2 cheques of 180 euros each to the order of Institut Robert FAURE. To reserve your room in full board or half board, you have to contact directly the Azur Center at the following number 04 94 74 18 87 telling them that you participate to the training of the Institute Robert Faure. The first cheque will be endorsed one month before the training course, the second one 2 weeks before the training course. For cancellation conditions, please consult the heading Teaching/methods.